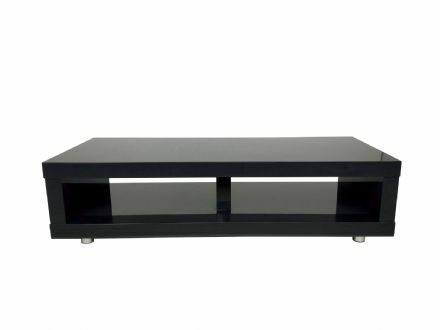 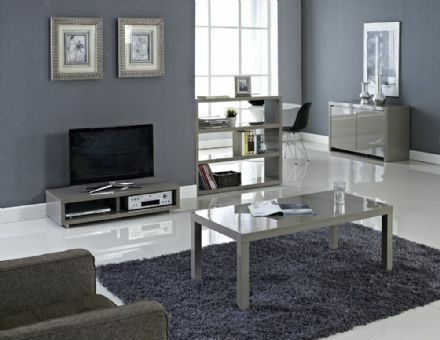 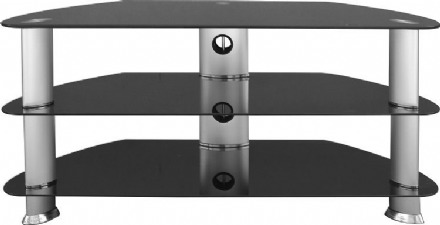 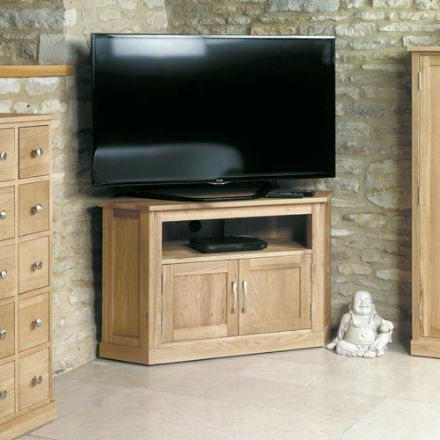 Sleek compact TV Cabinet to fit the tightest budget. 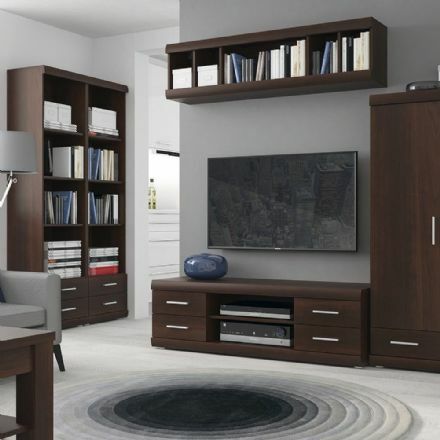 Its exceptional capacity includes two towers of open and closed shelving on either side of a large TV shelf, lower shelving behind sliding closed doors for media components, and an upper display shelf. 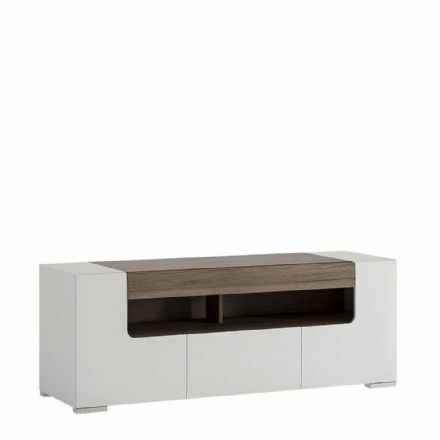 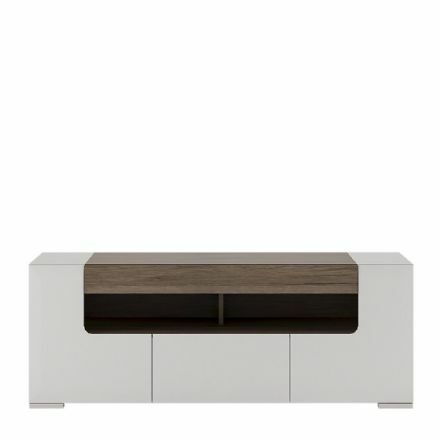 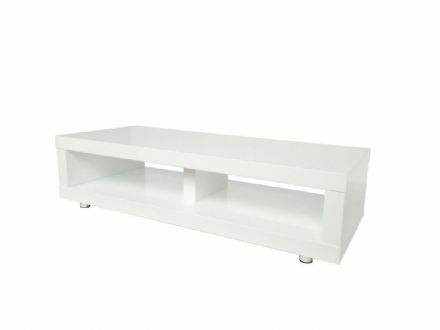 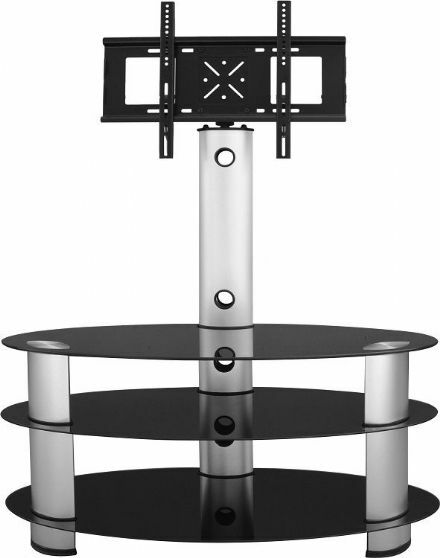 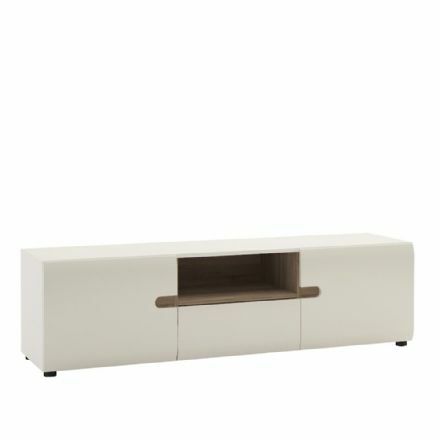 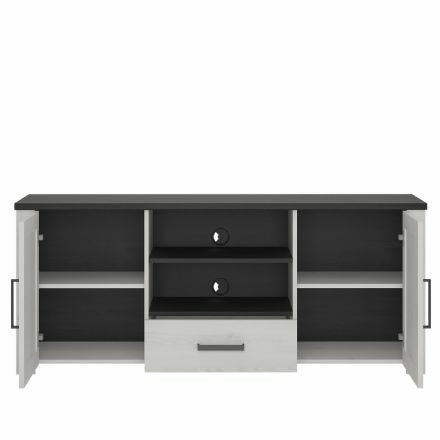 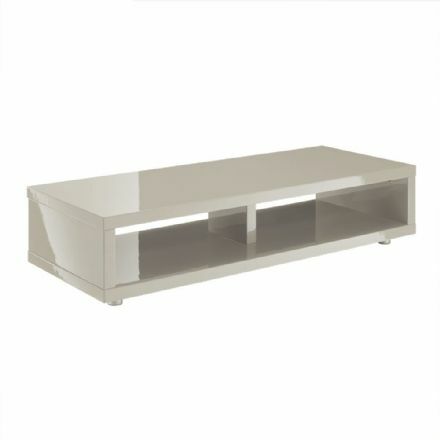 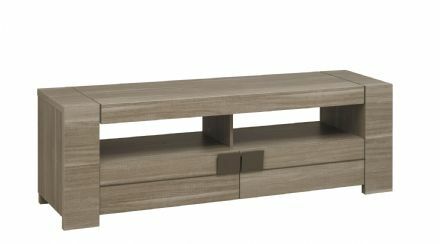 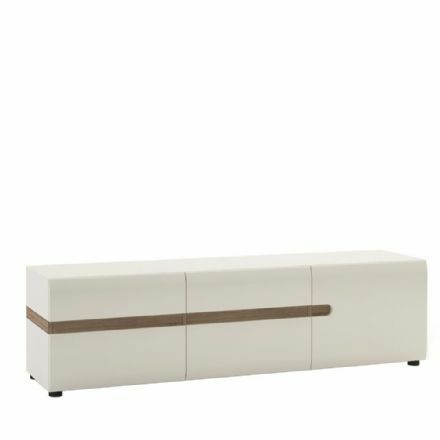 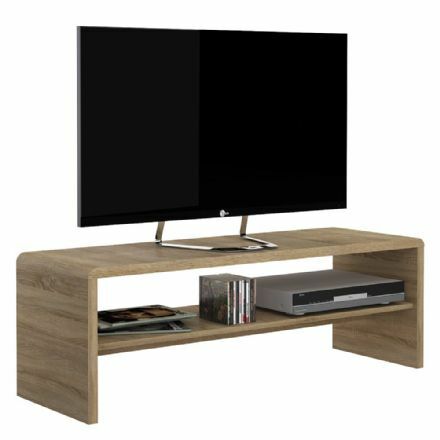 Thanks to the curved edges, designed to give it inherent strength as well as visual appeal, this large media unit can support a TV that weighs 50kg. 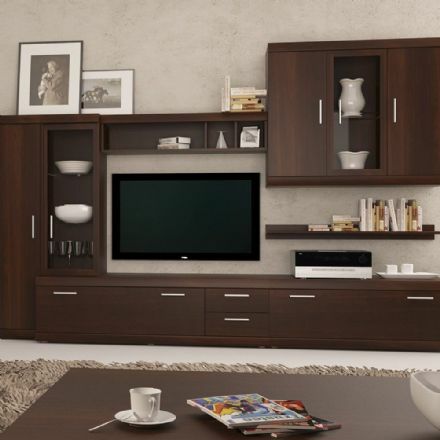 Imperial Complete Living Fitment in Dark Mahogany Melamine. 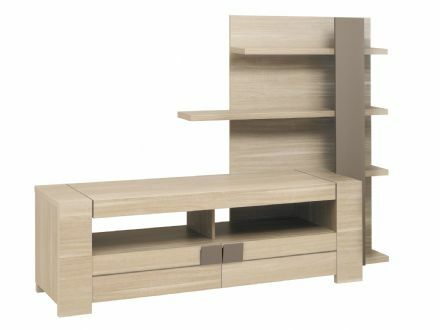 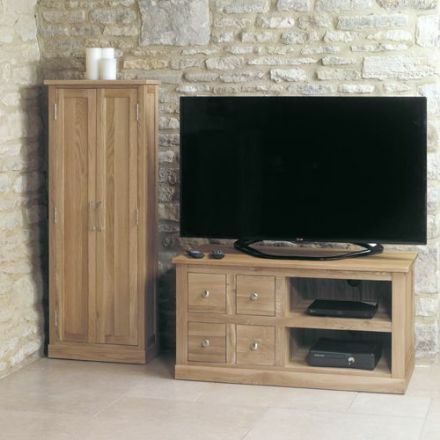 Probably our best selling TV unit with integrated lights into the rear wall unit. 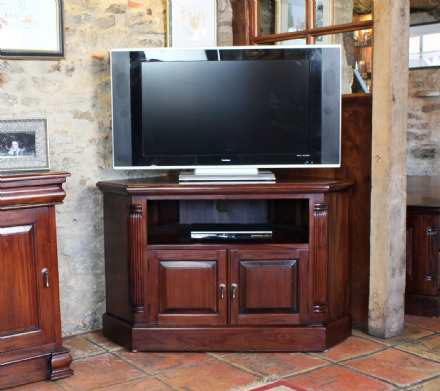 TV's aren't just used for watching television anymore, they can be used to play games, surf the Internet, watch films and play music as well. 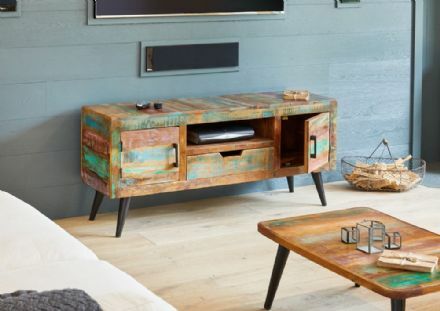 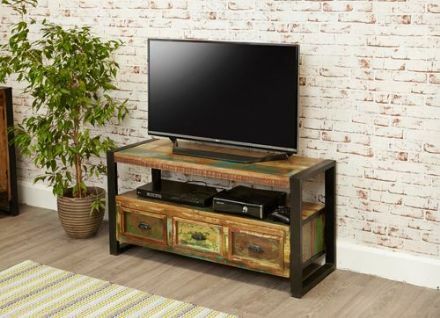 With all of these extra uses comes a host of consoles and devices that can sometimes become a little cluttered so you really want a piece of furniture that's can accommodate all of your needs. 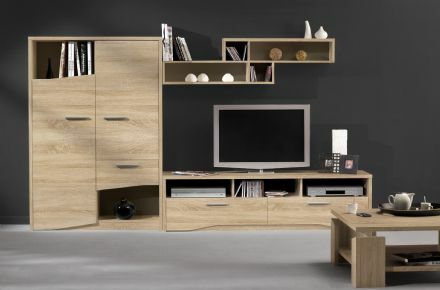 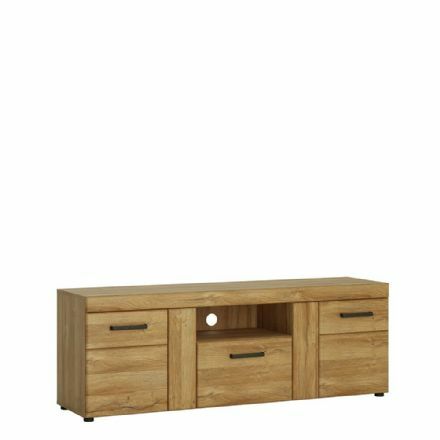 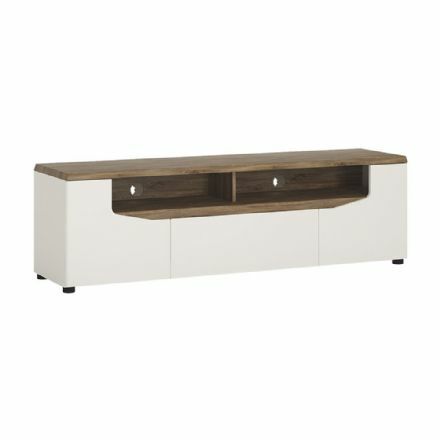 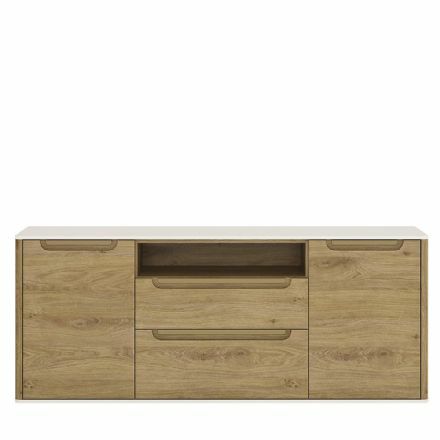 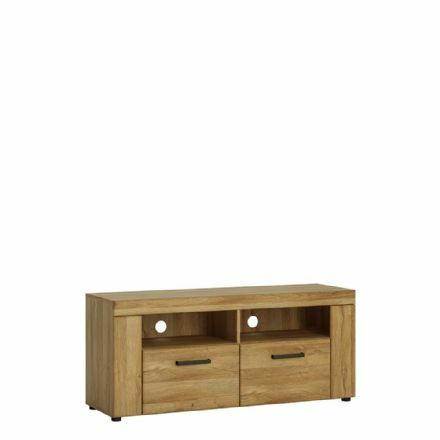 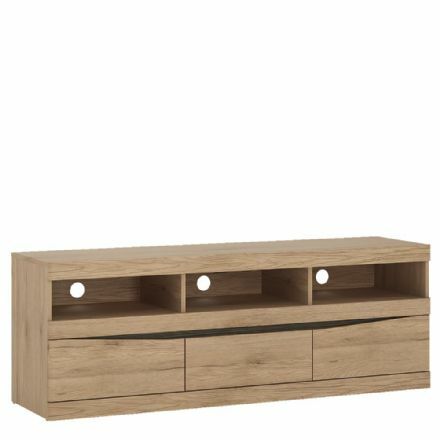 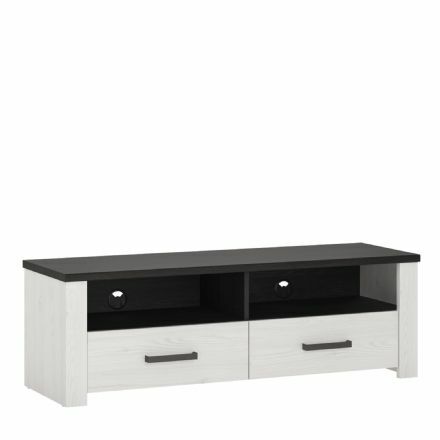 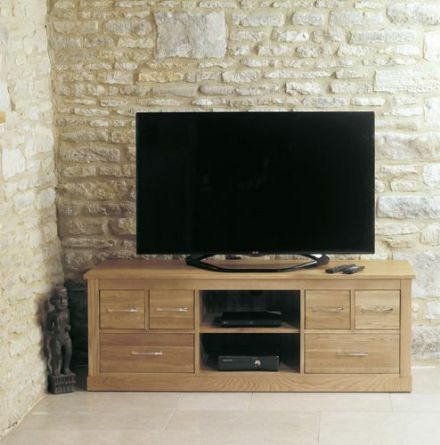 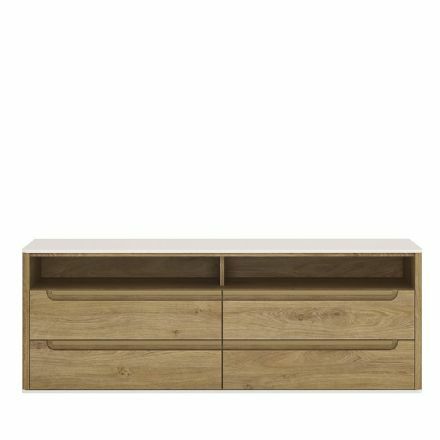 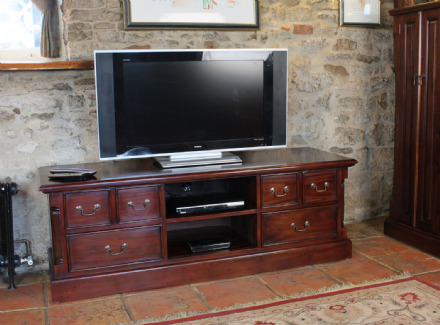 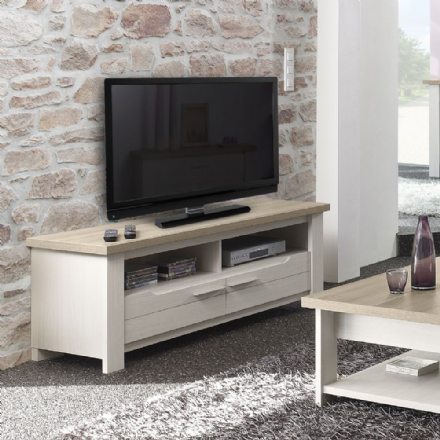 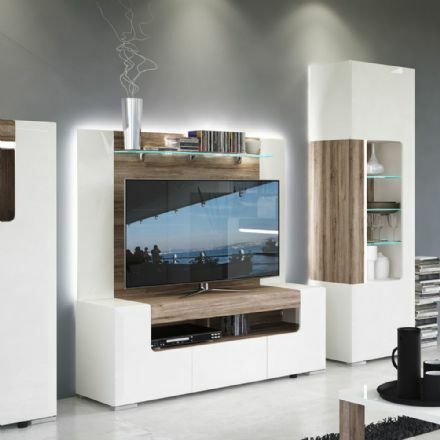 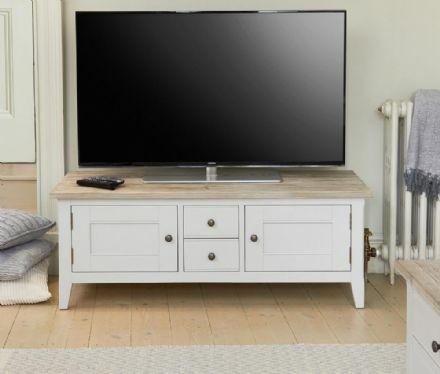 We have white and oak TV units from our home and garden range that comes in an array of styles and sizes, with many options to coordinate with your existing sideboards and display units. 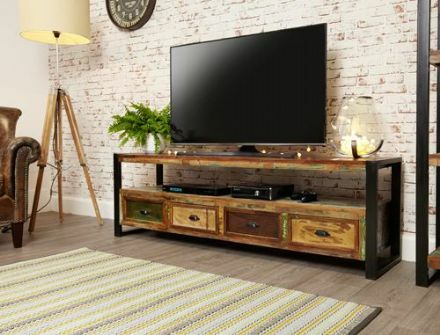 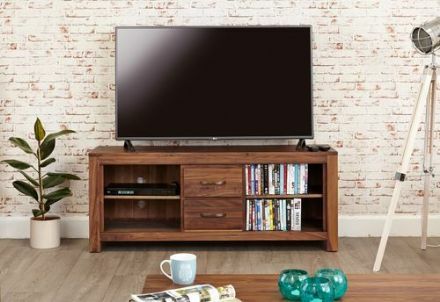 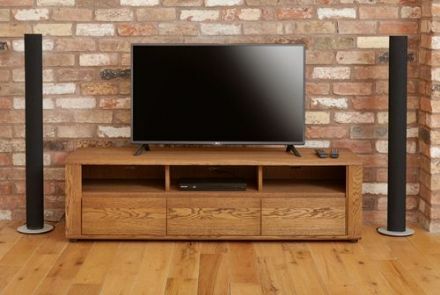 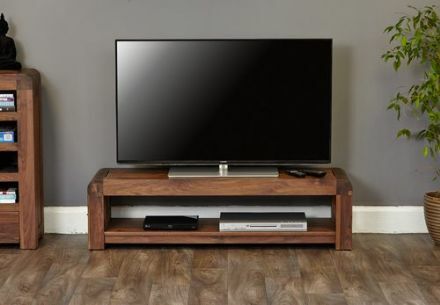 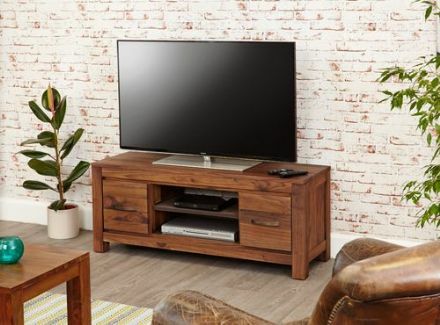 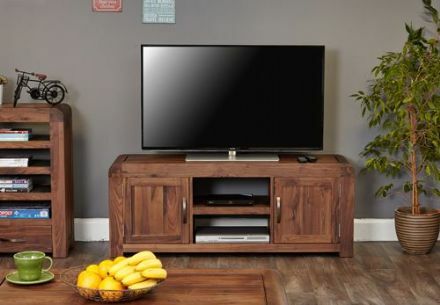 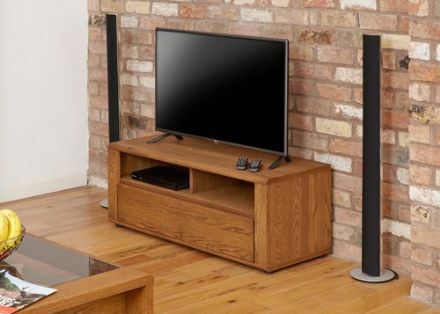 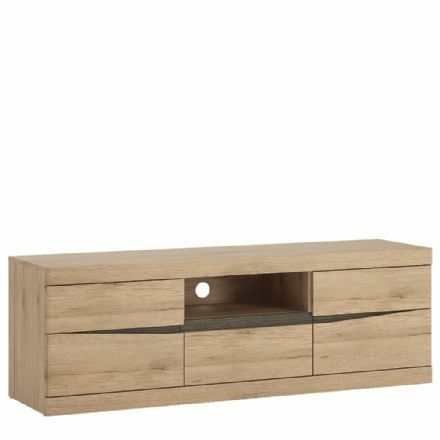 We have some great wooden corner TV units designed to fit snugly in the corner of your room, they're also ideal for tucking away any unsightly wires. 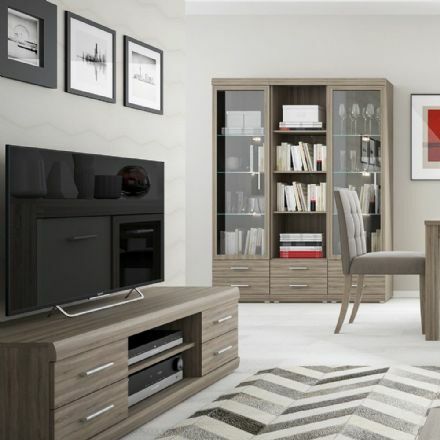 We have plenty of design options available so you'll be able to find something to suit your existing sofa or living room furniture sets. 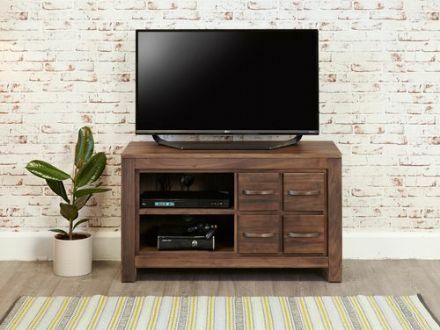 If you're in need of a little more space to keep your games and DVDs then our range of shelves can provide some much needed extra storage. 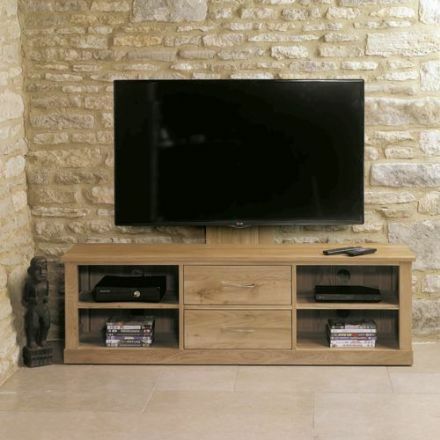 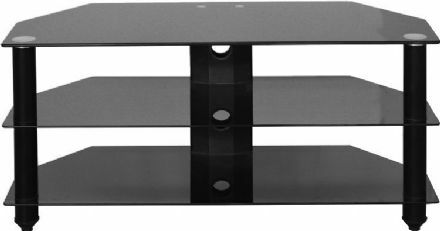 If you don't have the space for a full shelving unit then some floating shelves positioned above your TV could provide some extra storage without taking up too much space.